Home » Pinoy brain » Pinoy Trivia » Science » Who is the first person discovered the evidence of radioactivity? » Who is the first person discovered the evidence of radioactivity? Who is the first person discovered the evidence of radioactivity? A French physicist, Nobel laureate, and the first person to discover evidence of radioactivity. For work in this field he, along with Marie Skłodowska-Curie and Pierre Curie, received the 1903 Nobel Prize in Physics. 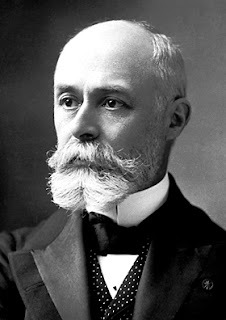 The SI unit for radioactivity, the becquerel (Bq), is named after him. He was born in Paris into a wealthy family which produced four generations of physicists: Becquerel's grandfather (Antoine César Becquerel), father (Alexandre-Edmond Becquerel), and son (Jean Becquerel). He started off his education by attending the Lycée Louis-le-Grand school, a prep school in Paris. He studied engineering at the École Polytechnique and the École des Ponts et Chaussées. In 1874, He married Lucie Zoé Marie Jamin, who would die while giving birth to their son, Jean. In 1890 he married Louise Désirée Lorieux.